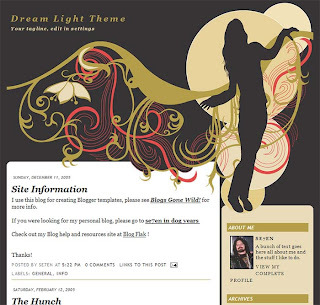 Heya Reader's i hope you are enjoying my posts and blogger templates. 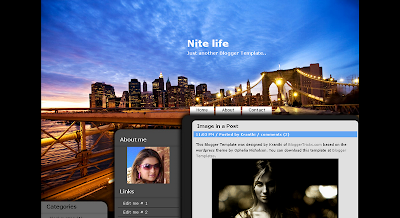 Today i have a new Night Life Blogger Template excellently parsed and with a neat header image. 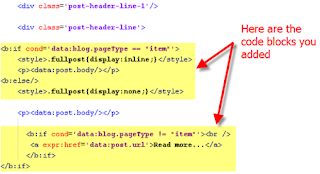 Just Copy Paste it in your edit template in html region. 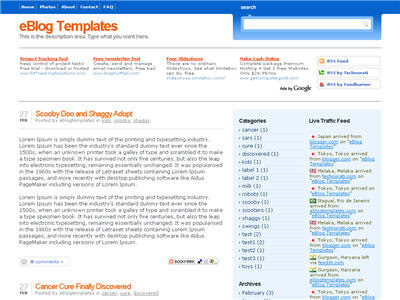 Hey Guys i know many are facing problems while changing their template and also few donot know how to change their blogger templates. Download then unzip the template file. 1. 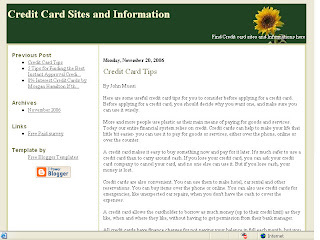 Upload the image(s) to your image hosting account (Flickr, fotopic.net. Or photobucket.com - recommended). 2. Open the template text file (.txt) in Notepad, UltraEdit, or another text editor. 5. Select change setting - Template - Edit Current. 6. Delete all of code in the box, replace with all of code from the template file. 7. Click 'Preview' to make sure the layout. 8. If everything looks okay, click 'Save Templates Changes'. 9. Don't forget to click 'Republish' after saving the template. You can put your shoutbox code HERE, in this line! 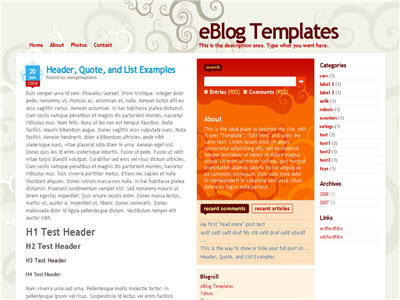 Now before you can get fully up and running with this new Blogger template, you’ll need to properly set things up. Please follow the steps below and read items carefully. The same questions are usually asked over and over by people posting comments, yet the answers are usually right in front of them. This is especially true for why the post date might not be working on your blog.Let’s start from the top of the template and work our way down each item. Don’t be too surprised when the template doesn’t look like the screenshot when you first load it up. You’ve got some configuring to do first! 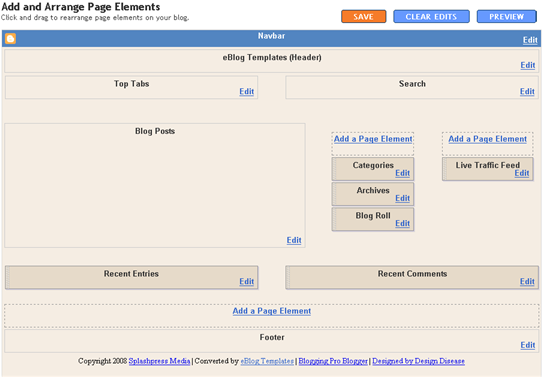 This section is actually setup to dynamically work except for the Feedburner link. You’ll first need to have a FeedBurner account. and right below that is where you’ll find the ad code block. This is another variation of the popular Mac OS interface design which includes the original really cool drag & drop sidebar feature. It allows you to rearrange the order of your sidebar in a dynamic fun way (check out the demo and try it yourself). It also includes the FeedIt widget which shows real-time live traffic to your site. 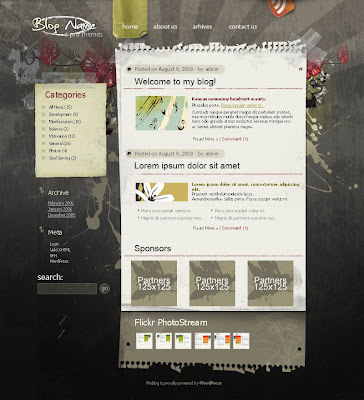 This XML template was converted by BlackQuanta and was designed and built by Nick La. Finish. 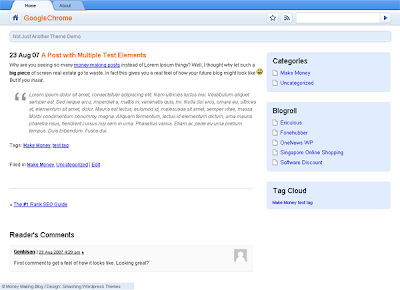 Preview your blog to see the result. instead. Your template will for sure have this since it’s the tag that actually prints the body of your post. tag. Keep reading and hopefully the explanation will illustrate the concept clear enough so you are able to adapt this hack to your custom template. tags if you’ve got both. Notice in both examples that the code in yellow and the tags are the same — it’s just tag above it that will differ based on the template you’re using. Now let’s add one more bit of code which will actually create the “read more” link in your post. This code will go below the tag so copy the following and paste it in. Feel free to change the “Read more…” text to whatever you want the link to look like. Be careful not to delete any other code during this process. This code will be the same no matter what template you are using. Just make sure it goes below the as shown in the image above. tags. If not, then you didn’t save it properly so go back and re-read step #2. So when writing your new post, anything you put above the tag will be the teaser text. 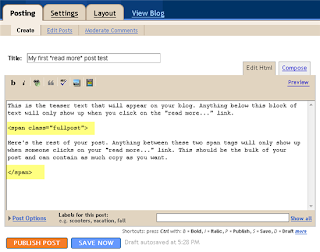 The main body of your post needs to go in between the and tags in order for the “read more…” link to work properly. See the screenshot below. Sometimes pictures illustrate better than words. tags breaking apart the post into two parts. from within your new post text area. Then your new post will show up entirely just like it used to before you implemented this hack. Enjoy! Let’s start with the Recent Posts page element so click to edit it. 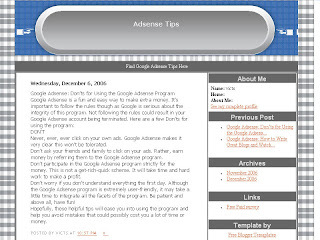 Then paste in your RSS feed url which will most likely be in this format http://YOURSITE.blogspot.com/feeds/posts/default . Make sure to replace “YOURSITE” with your actual blog url. Now you’re going to do the exact same thing with the “Recent Comments” page element but you’ll instead use this feed format http://YOURSITE.blogspot.com/feeds/comments/default . Again, make sure to replace “YOURSITE” with your actual blog url. Save and make sure it’s working properly. If it doesn’t appear on your blog, chances are you don’t have the correct feed url or you might not have any comments yet.